This incredible tour will take us to the island of Melrakkey in the beautiful Grundarfjörður fjord on the Snaefellsnes Peninsula. 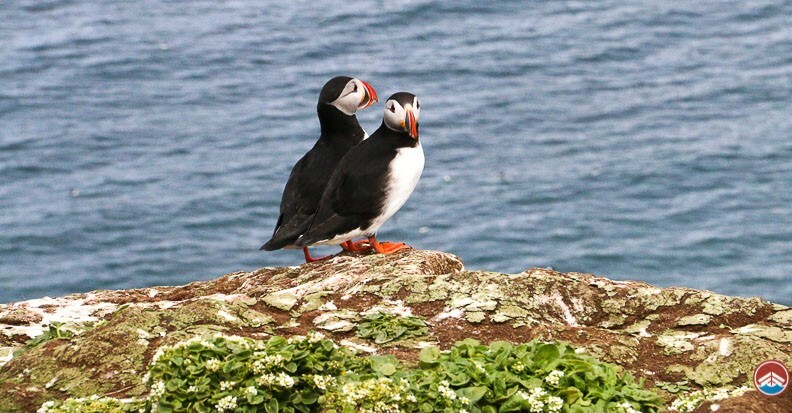 Melrakkey plays host to a multitude of adorable puffins who use the island to nest making it an ideal tour for families and bird lovers who want to see these cute birds in the flesh. We use a specially designed Icelandic boat, allowing us to get very close to the puffins without disturbing them, ensuring that you can snap plenty of photos and enjoy their lovable antics. On the way back, we enjoy a stunning view of the iconic and picturesque Mount Kirkjufell. The adventure begins in the picturesque town of Grundarfjörður which is located on Iceland’s famous Snæfellsnes peninsula. There you will meet your friendly guide who will give you a quick safety talk before we board the ship and get out into the fjord itself. The boat trip will take us directly to Melrakkey island, which is famous for its impressive basalt sea stacks and the hundreds of adorable puffins that call it home. Once there our friendly captain will turn off the boat’s engine, so we can get really close to puffins without disturbing them. Our friendly guide will also tell us facts about the birds and the surrounding area, ensuring that we can truly appreciate these adorable birds and their lovable antics. We will then sail around the rest of the island, seeing a plethora of different bird species, including shags, cormorants, guillemots, kittiwakes and many, many more. Then once we have seen all the incredible wildlife that the island has to offer, we will take a scenic route back to dry land, taking in the glorious beauty of Mt Kirkjufell, which rises out of the ground like an emerald turret and is the most photographed mountain in the entire of Iceland. 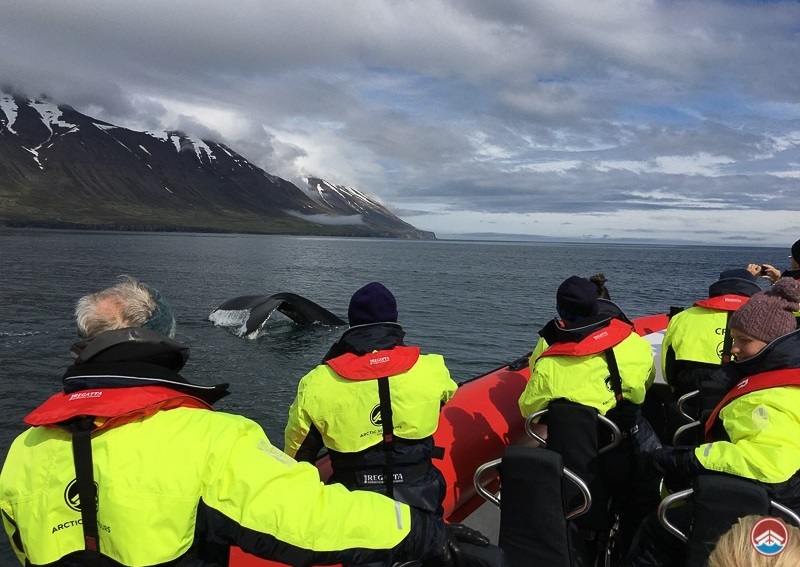 This makes the tour ideal for families, wildlife lovers and pretty much everyone else, providing memories that you are bound to treasure for the rest of your life. Iceland is home to between 8 and 10 million puffins, making up 60% of the planet’s Atlantic Puffin population. Icelandic people call puffins ‘Lundi’, although their more affectionate nickname is “prófastur”, which translates to ‘preacher'. In the summertime, you can find puffin colonies all over the country. The colorful appearance that most people associate with puffins is only true for the summer months, when they are on dry land, as they become far less colorful when they are out at sea in winter. Puffins are also monogamous as a species and pair for life with each gender sharing parenting duties. They live for between 20 and 25 years, although the oldest recorded puffin reached the age of 38.